We have been adding a number of articles about levidromes lately. Unfortunately, when adding articles to one page, it gets to be pretty big after a while. It also becomes difficult to determine when certain events occurred. 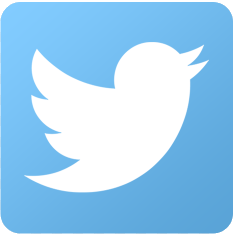 So we have decided to change the style of the Levidrome News page to that of a blog. Since blogs are normally chronological, we had to post-date a number of articles to a point in time when they occurred, some even before this website came into existence. Another advantage of a blog style News section is it provides a very easy way of looking up the history of events. It makes it easier for someone to link to a particular article rather than a page with combined articles. What can you do if you have a list of words, especially cool levidromes? Words and word search puzzles go hand in hand. 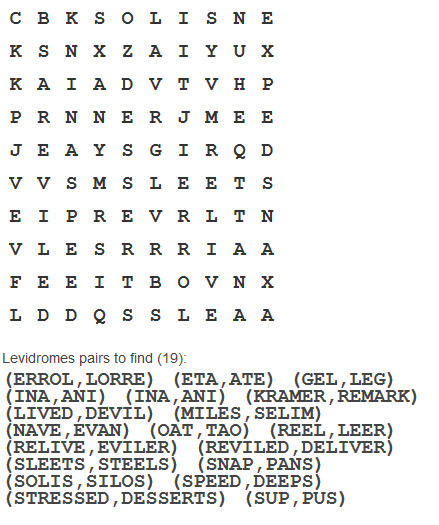 Check out our recent addition to our website, the Levidrome Word Search Puzzle.